Sprawled across 35 acres, the Aqua Turf Club offers the perfect year-round setting for all your banquet needs. With 4 spacious rooms, we can accommodate from 125 to 1600 guests. Each room has a beautifully decorated suite, its own bar and restrooms. The Maître D' will coordinate all the details for you, making sure your day is perfect! The club offers mouth watering food, customized menus, and elegant extras to make every reception sparkle. With a wide variety of entrees to choose from, everyone on your guest list will be pleased. Our knowledgeable staff would be happy to discuss all the options to help create the perfect menu for your special occasion. he chapel is a beautiful, nondenominational, New England style chapel that you can decorate to create the perfect atmosphere for your wedding. Personalize your ceremony with your choice of music and person to officiate your service. The chapel is heated as well as air-conditioned and can comfortably seat up to 240 guests. My wife and I were married at the Aqua Turf Club. Overall it was positive experience working with them and I would suggest it to anyone getting married in the tri-state area. The staff was easy going, but professional. I never felt stressed asking them questions or telling them concerns during our reception. There were other weddings going on at the club, but we never bumped into any one of them and had no idea any where going on. They asked me what my favorite drink was, and whenever I placed it down and forget it, they would hand me another one without me asking (nice touch). What I couldn't believe was that all our guests were allowed seconds on their meal. We didn't have to pay extra. I got such a kick out of that, I told everyone that they could get more to eat. Most, if not all said that they were too full. A result of good food. So, I say check it out and give it your consideration if you're getting married. 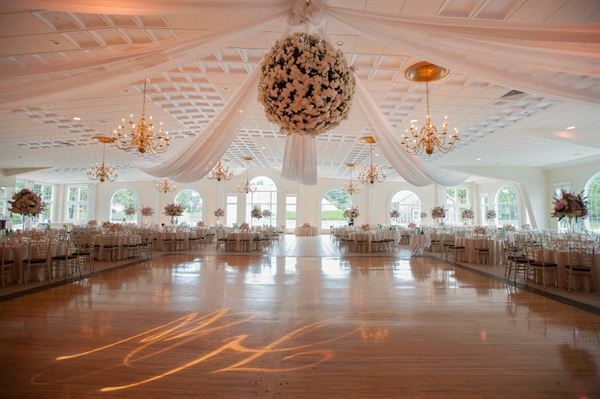 The Aqua-Turf is a beautiful building in suburban Plantsville, specifically designed for catering events such as wedding receptions, proms, business conferences, etc. I have been to the aqua turf for countless events, and have arranged a business event there myself. They have a large variety of great tasting food. Every time I have been there, the food has been wonderfully assorted. The rooms designs are elegant and simple, not too over powering and the waiters are friendly and always alert to the customers needs The many rooms they have range from large to small, expansive to intimate. Even the outdoor landscaping feels like a wonderland The prices are reasonable, and each dollar is worth it. Beginning in December of 2009, my company has been holding their Holiday Party at The Aqua Turf in Plantsville, CT. We searched long and far to find the perfect spot that would satisfy all of our employees, and since we found this place, we do not have to search anymore. The Aqua Turf hosts small offices to large ones, and combines different groups and offices together in a room for the ultimate holiday party. The dinner is fantastic, served fast and tastes delicious. There is a DJ who always caters to the type of crowd that is in the room and everyone is up and dancing. The bar is fully staffed, and you never have to wait for a drink. Even though there are several different rooms, these dates around Christmas book up so fast. It is a very popular place to have your holiday party, and its reputation for their service precedes them. The decorations and scenery are unbelievably beautiful and you feel as if you have stepped into a different world when you walk around the grounds. The price is average for most of the parties that we have held at different places, but what you get is so much more. The ambiance and staff are enough to make you want to keep coming back year after year, and our office is always abuzz the next day talking about what a fantastic time that they had, and how they canâ€™t wait to get back there next year. As an HR manager, I would recommend The Aqua Turf to anyone who wants to boost morale, and have a fantastic time with their employees.